The impact and influence of LEPs is making the difference where it really matters: in the villages, towns and cities across England. To date, that LEP difference has: delivered a total of over £7.6bn of private sector investment; supported over 196,000 businesses; created over 180,000 local jobs; and helped to build over 93,000 homes. Some of the key projects that have helped achieve that are shown below as part of our LEP Factor series. BCLEP developed HVM City, an interactive platform supporting over 10,000 local businesses. The resource underpins the region as a centre for High Value Manufacturing, bringing together the supply chain for each sector, helping suppliers and contractors to identify opportunities and bid for contracts. 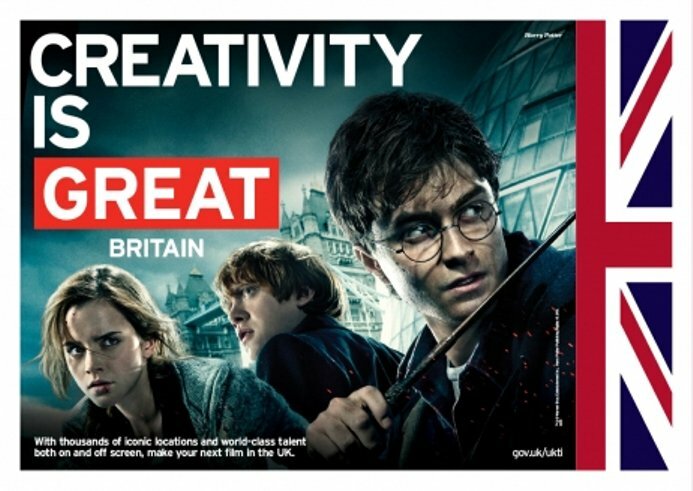 The LEP helped underpin Buckinghamshire’s global position in creative industries with an investment of £1.5m in 4K digital technology at the Bafta winning National Film and Television School. Buckinghamshire has the highest employment in the sector with over 17,300 jobs across 4,430 businesses. The Business Board of the Combined Authority focuses on the future economic growth of the area, and is the custodian of the Local Industrial Strategy, along with the strategies and plans that directly support it. The LEP spearheaded the development of a key site within the Cheshire Science Corridor by facilitating a £120m investment from Europe’s largest cardboard manufacturer, Progroup. By committing £500K the LEP will also unlock five Enterprise Sites in the area. The LEP is driving investment in housing to support the biggest challenge in its region – affordable homes. Better housing is key to improving local infrastructure and vital to economic success. The latest Housing Infrastructure Fund investment of £58m into the area underpins the LEP’s approach. The LEP’s partnership with the European Space Agency is investing £8.4m of Local Growth Fund into Goonhilly Earth Station. It will create the world’s first commercial deep-space communications station, capable of tracking future missions to Mars and the Moon. The LEP led a bid with the University of Warwick, Coventry City Council and the West Midlands Mayor, to secure Coventry as home to the £80m UK Battery Industrialisation Centre that will help the UK become a global leader in battery technology. The LEP invested £2m of growth deal funding in advanced manufacturing centres at local colleges. The centres feature new technologies including simulated production lines. One of the centres will cater for 450 students and 1,150 apprentices on STEM apprenticeships, HNC and degree programmes. This LEP-backed £20m strategy with LA partners combines seven Nottinghamshire town centre investment projects, set to create an estimated 612 jobs and improve communities. The initiative was only made possible by a £7.6m investment via D2N2’s Local Growth Fund allocation. The LEP’s new Enterprise Zone is a vital stimulus for employment, aimed at facilitating 2,000 new jobs and attracting dozens of new businesses. It’s been developed in partnership with Dorset County Council, and Purbeck District Council, to rejuvenate the previously stalled site. The LEP led a consortium to raise £32m for a permanent structure to host the Farnborough Airshow. This strengthens the show’s impact on the UK Aerospace sector, with orders worth $124bn – £12 billion of which flows through the UK’s SME supply chain. This is a joint public/private sector initiative to create the UK’s first dedicated hub to support the growth of new cyber security businesses. The park is a key strand of economic growth for the region thanks to Growth Deal Funding of £22m. Greater Birmingham & Solihull LEP joint-funded a project with the Intellectual Property Office to embed intellectual property in the LEP’s innovation and business growth offering to GBS-based companies, focused on realising the value of their intellectual property as a catalyst for innovation and growth. The LEP area produces 25% of the nation’s vegetables and processes 70% of its fish. The LEP is developing three Food Enterprise Zones, with Growth Deal funding supporting all three. Holbeach is set to be the new home of the University of Lincoln’s agri-food technology specialism. The LEP is leading a cross-LEP and business partnership, Nuclear South West, to maximise the development of Hinkley Point C and generate £55bn of nuclear opportunities for the area over the next decade. The LEP has invested £4.5m Growth Deal and EU funding to initiate a pioneering partnership with the University of Hertfordshire to grow the dynamic life sciences sector in Hertfordshire. It will leverage the University’s facilities and expertise to ensure that world-class academic research is brought to market. The LEP worked with business and local authority partners to establish a single economic strategy, underpinned by a £1bn growth programme, which will deliver over 10,000 new jobs by 2020. Kirkstall Forge, in Leeds, received support from the LEP and Combined Authority to develop brownfield land into a sustainable urban village, with a new railway station and thriving businesses. One company, Zenith, is reinvesting in the region, sponsoring our MIPIM delegation and creating jobs. The LEP has invested £12.88m in Space Park Leicester to develop a global hub for space research, learning and innovation that will create 200 high tech jobs and 10 new businesses in Phase One. The LEP worked with employers and FE colleges to create a VE Passport Scheme which guarantees students work experience, a job interview or a full time job in the visitor economy. Over 200 students are benefitting from this level of support. By transforming 6.9m sqft of commercial development within the Royal Docks, LEAP is realising a gross development value of £5.2bn. This includes an investment of £380m of LEAP funds in strategic infrastructure and connectivity, supporting a diverse and competitive economy. With its local authority partners, the LEP invested £1.8m through its Growing Places Fund to support the construction of a new headquarters for energy firm Proserv which will employ 190 staff in the area. The LEP helped to secure a nationally-significant growth deal for Oxfordshire through £215m worth of Government funding. The deal supports the delivery of around 100,000 new homes between 2011 and 2031, and commits ongoing Government support to strengthen Oxfordshire’s productive knowledge-intensive economy. The LEP helped drive two visionary skills projects for the region. The National College for High Speed Rail is training highly skilled engineers for the railways of the future including HS2, and Rotherham University Centre will provide higher level qualifications aligned to employers’ requirements. The LEP is supporting the UK’s first dedicated Centre for Cancer Immunology. The £25m worldleading facility will drive innovation in immunology research, strengthen the life science cluster and secure Solent as a global centre of excellence for new therapies that will cure cancer. The LEP invested £9.8m (LGF) in rail infrastructure at Ashford International Station, maintaining it as part of Europe’s high speed network. The move will safeguard approximately 1,000 jobs; catalyse massive economic and housing growth; and send strong investment signals to relocating businesses. The LEP committed £15.2m to five unique private sector-led projects to cement the South East Midlands’ critical position at the cutting edge of automotive testing and in shaping the future design and development of next generation transport. The LEP initiated plans for a Ceramic Park in partnership with the British Ceramic Confederation based in its Enterprise Zone. This will help develop globally competitive products in a UK sector worth £2bn in annual sales and will boost exports, currently worth £550m. The LEP reviewed its Growing Places Infrastructure Fund to increase its risk profile to make loans more attractive to businesses in Swindon & Wiltshire. The LEP has loaned £1.2m to safeguard and support 200 jobs and has a loan target of £8m for 2018/19. The LEP has invested over £1.7m of LGF money into a smart city communications and data platform to boost economic development. It will support the growing Internet of Things market for transportation, environmental monitoring, waste management, and improve the lives of those with mobility challenges. The LEP has launched a new Marches and Mid-Wales freight strategy with the Welsh Government and partners on both sides of the English/Welsh border which aims to improve transport routes, resulting in a potential £149m boost to the regional economy. The LEP invested £3.9m from the LGF in the National Composites Centre for advanced production equipment. A vital part of the West of England’s economy and key to the UK Aerospace Technology Institute’s strategy to maintain and develop the UK’s £30bn aerospace industry. The LEP backed its new Centre of Vocational Excellence with a £950K investment. The training facilities will create 20 new jobs and provide training for several hundred learners each year. Worcestershire has achieved the UK’s strongest growth in higher-level workforce skills (Joseph Rowntree Foundation).